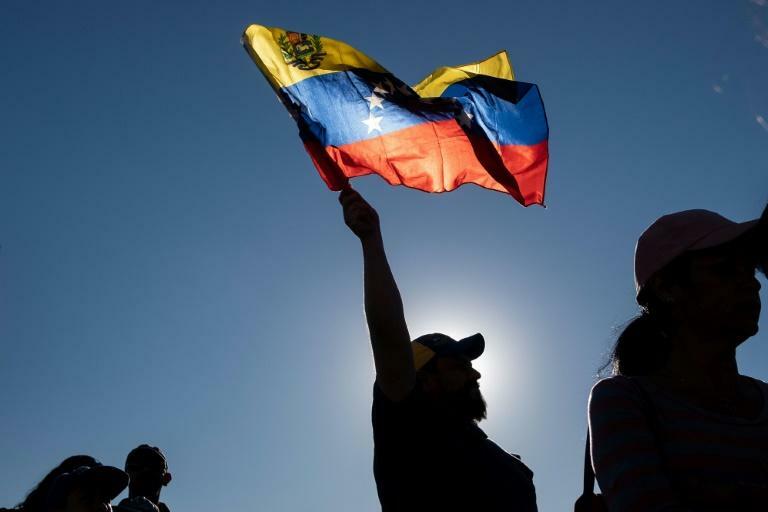 China said Thursday it opposed external interference in Venezuelan politics, after the US and major South American countries sided with opposition leader Juan Guaido over President Nicolas Maduro in a power struggle. China is Venezuela's main creditor and Maduro visited the country in September, striking energy and gold mining deals as he sought Beijing's support to help his crisis-hit nation. Maduro now faces trouble at home, where Guaido proclaimed himself acting president on Wednesday amid rival protests in Caracas. "China has consistently pursued the principle of not interfering with other countries' internal politics, and opposes the interference (in) Venezuelan affairs by external forces," said Chinese foreign ministry spokeswoman Hua Chunying at a press briefing in Beijing. "We are paying close attention to the current situation in Venezuela and are calling on all parties to remain rational and calm, and to seek a political resolution to Venezuela's problem through peaceful dialogue within Venezuela's constitutional framework," Hua added. Asked whether China recognises Maduro, Hua recalled that Beijing had sent a representatives to his inauguration earlier this month. "We support the efforts made by the Venezuelan government to maintain the country’s sovereignty, independence, and stability," she added. Major regional players Brazil, Colombia, Chile, Peru and Argentina all gave their backing to Guaido's self-proclamation as acting president. After US President Donald Trump recognised Guaido as interim leader, Maduro said he was cutting off diplomatic ties with Washington and gave US diplomats 72 hours to depart. The US State Department responded by saying "former president Maduro" did not have the authority to sever relations. The 56-year-old leader was sworn in as president on January 10. Maduro has control of virtually all of Venezuela's political institutions and enjoys the support of the military, but many blame him for the country's economic woes, which have left much of the population living in poverty with shortages of basic foods and medicines. China has extended more than $60 billion in credit to the South American country over the last decade. Venezuela still owes Beijing about $20 billion and has been repaying the debt with oil shipments.